This past Valentine’s Day, we decided to have a chili cook-off. It seemed like a much better idea for this romance holiday on a cold winter night, especially with our particular relationship statuses; “it’s complicated” seems to be most popular in our group’s social media circles. This White Chicken Chili recipe was my submission. I love it for its creaminess, the spicy cumin taste (I actually added a bit more cumin than in the recipe) and the boost of greens with the Spinach. I also added a little cheese on top, and some folks also topped theirs with raw onions and sour cream. Wine pairing note: this soup goes great with Chardonnay. I’m not sure if my chili won the cook-off, but it was the first pot to be emptied! It took the chill out of a cold night and it warmed our bellies and our hearts. And it’s not complicated. HEAT oil in large saucepan over medium-high heat. Add chicken; cook on each side until golden. Transfer chicken to plate; cover. ADD onion to same saucepan. Cook, stirring occasionally, until translucent. Add garlic; cook for 30 seconds. Stir in cumin and coriander; cook for 30 seconds. Stir in salsa verde, cannellini beans, pinto beans, water and corn. Cook for about 10 minutes or until hot. 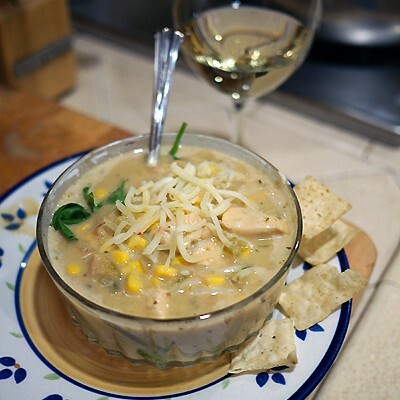 Try this delicious low-fat version of white chicken chili! I love soup. I eat soup for lunch almost every day, and I’m not ashamed to admit it. There’s something so satisfying in this steaming bowl of broth, cooked vegetables, meats and just plain nourishment for the soul. Especially when it’s cold or rainy outside (or over-air-conditioned inside) and the soup has been cooking all day. 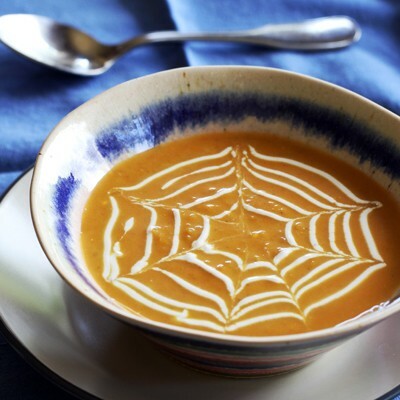 This soup incorporates pumpkin and ginger, two healthy powerhouses. Pumpkin is rich in antioxidants, fiber and Vitamin A plus it’s low in fat. 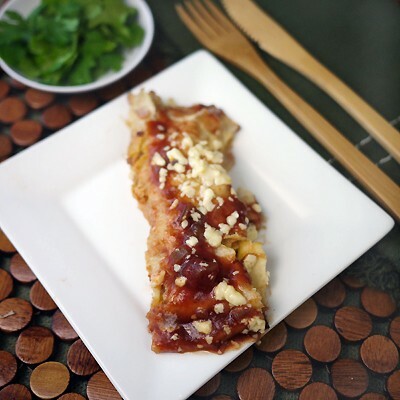 It also adds a flavor punch to many savory dishes, from pastas to soups to casseroles. HEAT oil in large saucepan over medium-high heat. Add onion and garlic; cook, stirring occasionally, for 3 to 5 minutes or until tender. Stir in curry powder, coriander and crushed red pepper; cook for 1 minute. Add water and bouillon; bring to a boil. Reduce heat to low; cook, stirring occasionally, for 15 to 20 minutes to develop flavors. Stir in pumpkin and evaporated milk; cook, stirring occasionally, for 5 minutes or until heated through. TRANSFER mixture to blender or food processor (in batches, if necessary); cover. Blend until creamy. Serve warm or reheat to desired temperature. Ladle soup into bowls. PLACE sour cream in small, heavy-duty plastic bag. Cut tiny corner from bag; squeeze to pipe concentric circles onto soup. Using wooden pick or tip of sharp knife, pull tip through sour cream from center to edge of bowl. PREPARATION TIP: Soup may be prepared the day ahead. Cool to room temperature after adding pumpkin and evaporated milk. Cover and refrigerate. Just before serving, blend then reheat to serving temperature, but do not boil. This soup incorporates pumpkin and ginger, two healthy powerhouses. Pumpkin is rich in antioxidants, fiber and Vitamin A plus it's low in fat. It also adds a flavor punch to many savory dishes, from pastas to soups to casseroles.